Advanced storage intelligence learns your most-used files and automatically pairs them with the fastest storage for peak performance. 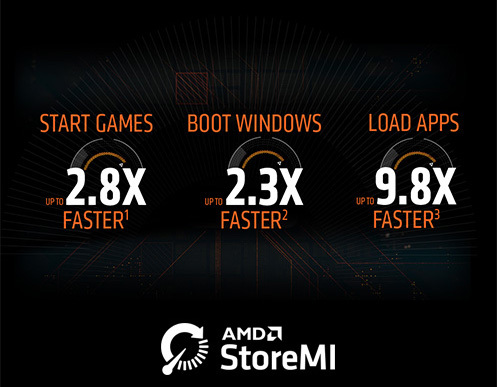 That means improved load times, boot times and system responsiveness – no matter what you use your PC for. 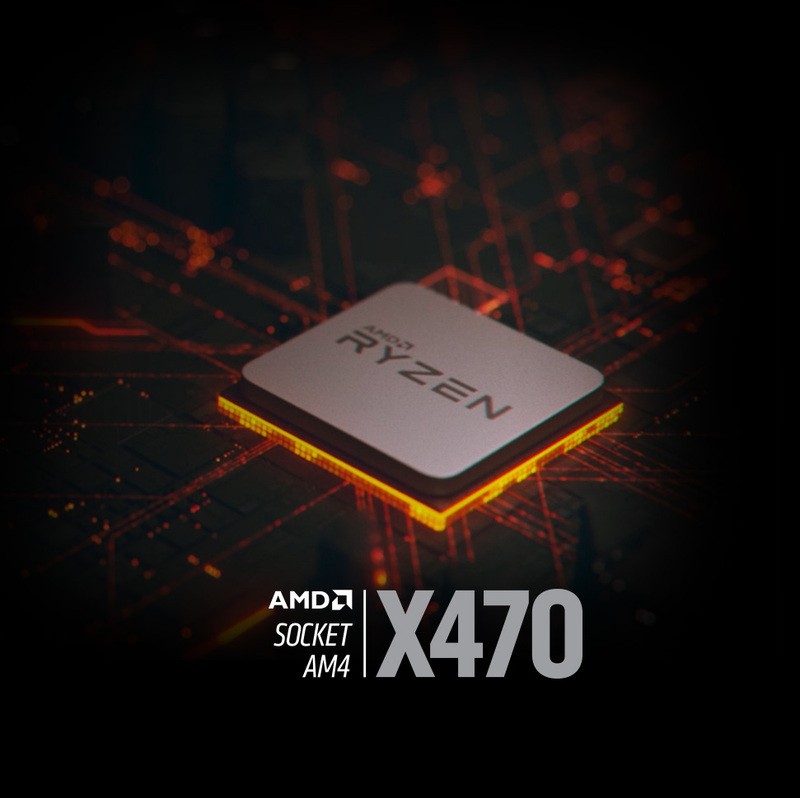 AMD 400-Series Chipsets for Socket AM4With enthusiast-class features and control, the AMD 400-series chipsets power the newest, most advanced Socket AM4 platforms, supporting high-performance Ryzen 3, Ryzen 5, and Ryzen 7 processors. 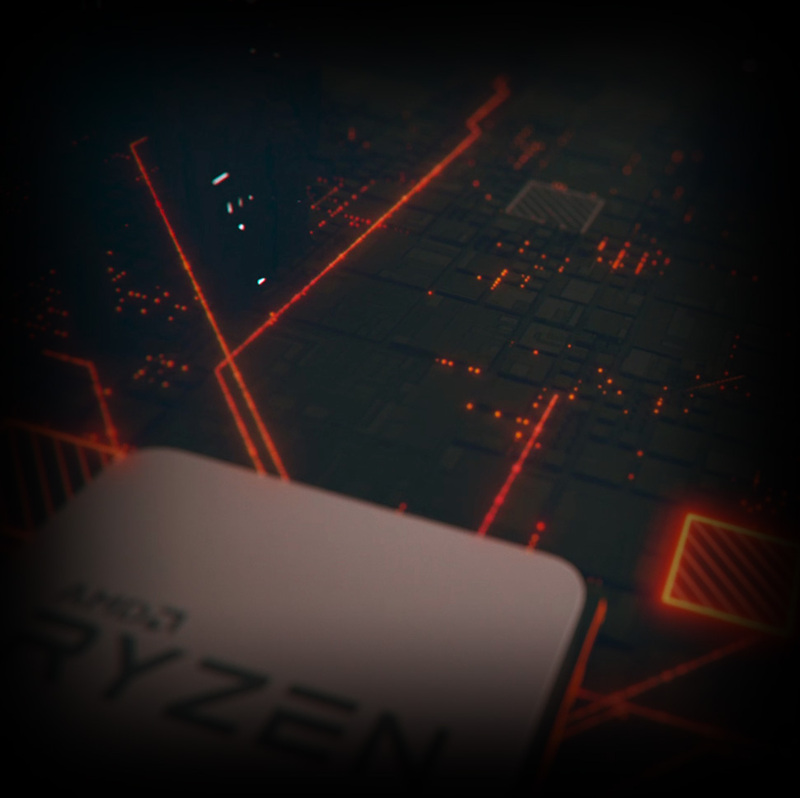 Users who need the power of the ultimate desktop platform will truly appreciate AMD’s X399 chipset for Socket TR4, supporting AMD Ryzen™ Threadripper™: the most powerful desktop processors in the world. *Terms and conditions apply. 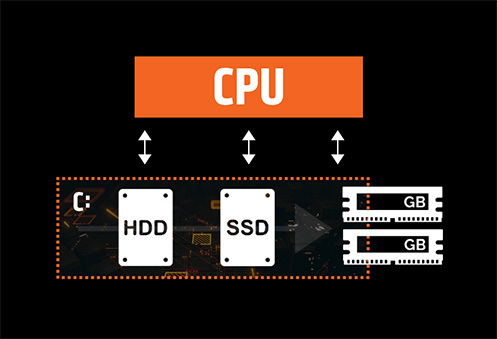 Learn more at www.amd.com/StoreMI.